Starting a new business is always an exciting and scary venture, we understand branding is important from the start yet keeping our outgoings low is even more crucial. 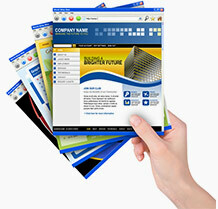 In 2013 a website is an integral part of any business. When starting a business a website is now often the first step, as you will need the domain name and email addresses to go on all business cards and marketing material. The problem is with most website agencies charging a minimum of £3000 and the ‘TV advertised’ cheap solutions providing a useless lifeless website that no one can find on Google.. there’s unfortunately a lack of quality yet affordable solutions out there! This is where inLIFE come in! We specialise in providing bespoke web design and development for new business at an affordable cost, we sit down with you and work out the best solution for your business to start with as well as prospective solutions moving forward as your business grows. We custom write everything meaning your website can grow with your business, giving you the freedom you need from the start and dedicated to your business sector, whether it be online sales or a just single page website that hits the top of Google! Conforming to web usability standards W3 & WAI 2. 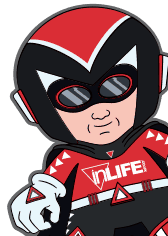 Last but not least at inLIFE we are an open office based company so we guarantee to provide a personal service, if you are looking for a local Staffordshire based web design agency we are open 5 days a week 9-5 where you can come in and talk to us face to face.